Ideal for: Gardens, stately homes, county shows and all things green and growing. Also available as an Easter act. Gnomes are the secret hiders of the Easter bunnies eggs! 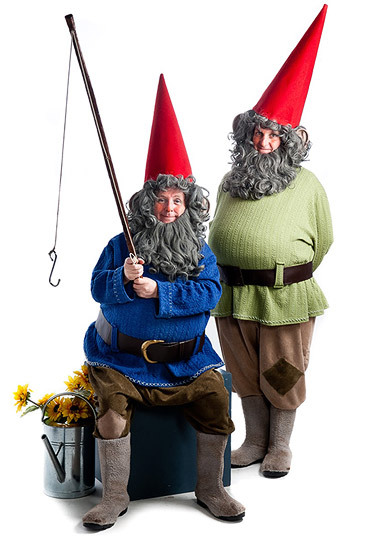 What with all that fishing, watering and standing around looking at things, life can be very busy for a gnome. So its nice for them to get out, have a little break and generally get a little more animated and sociable than usual. They can share their simple tales of nature, gardening and the goings on over at No. 24 with other local folk and enhance any occasion with their warmth, charm and big hats. Just don’t touch their beards without permission... Gentle family entertainment with deep green roots.